Rodents take advantage of any cracks and crevices in your home or business. Our rodent exclusion service tracks down all of their secret entrances and seals them with permanent building materials, stopping your infestation from expanding. Rodents continue to be an issue in January, and are often joined by ants and roaches. Florida is home to approximately 70 different ant species, each one with their own unique way of causing damage. The first step to eliminating an ant infestation is discovering the species of ant we are dealing with. After hiring an ant pest control service to eliminate your infestation there are steps you can take to keep ants from returning to your home or business. Walk the exterior, sealing any cracks or crevices you may find. Clean your gutters often. Dirty gutters can make the perfect harborage for ants, giving them everything they need to nest and reproduce on your property. Keep your yard free of trash and trim trees and bushes near structures keeping all vegetation at least 18” from the structure. What can we say about cockroaches? They’re gross, horrible, and we know that you just want them gone. They are frequent January visitors to your homes and business. 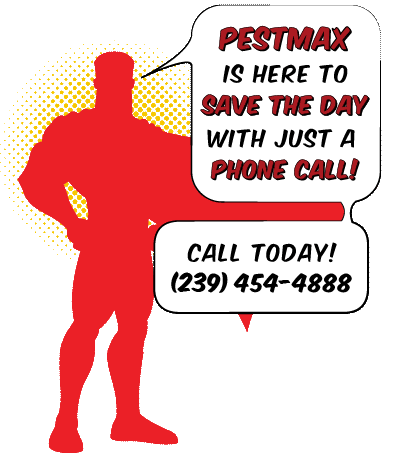 Of all Florida pests, the PestMax heroes count the cockroach as our most hated villain. And just like the worst comic book villain, they just keep coming back. That is why we take a serious approach to cockroach control. Our PestMax ‘MaxPeace’ Guarantee means that we rapidly respond to any new incursion and regain control. 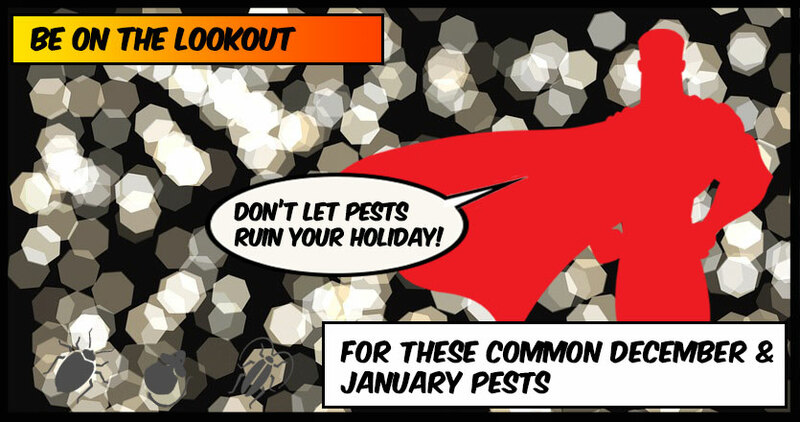 Bedbugs are a year-round threat, if you are planning on inviting holiday guests to your home be on the lookout. Bedbugs can travel on clothing, so you may be inviting your favorite Uncle to stay the Christmas weekend, but the bedbugs he brings with him will want to stay permanently.Insects and pests don’t play by the rules, these are simply the pests we fight the most during December and January. That doesn’t mean an unruly gang of subterranean termites isn’t eating your home’s foundation right now! If you suspect any type of infestation in your home or business call us today!